Moreover, Bulk Carriers are fitted with an eductor or ejector systems which are being used for the cleaning of cargo holds as well as for the removal of accumulated cargo debris. For these systems to work properly, the holds have an extra educator bilge well which is located amidships or port and starboard in each hold. 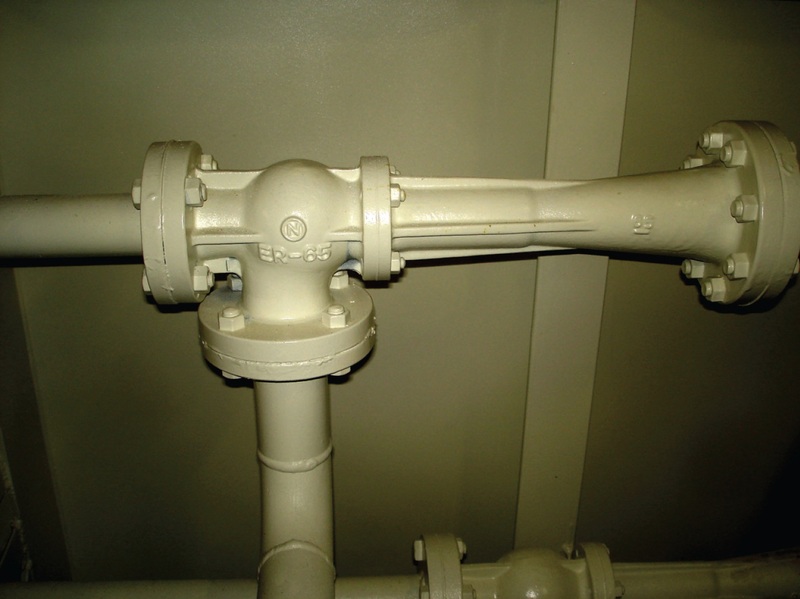 Cargo residues from bilges can enter the bottom of sounding pipes and block them making them unusable in order to obtain appropriate soundings through sounding rods, lines etc. One way to prevent the blocking of sounding pipes with residues is to hose them out with water coming from the deck. This of course must be done only after the hold has been cleaned along with the bilges. Another way to clear sounding pipes is by using airlines in order remove by air pressure any leftover cargo residues. 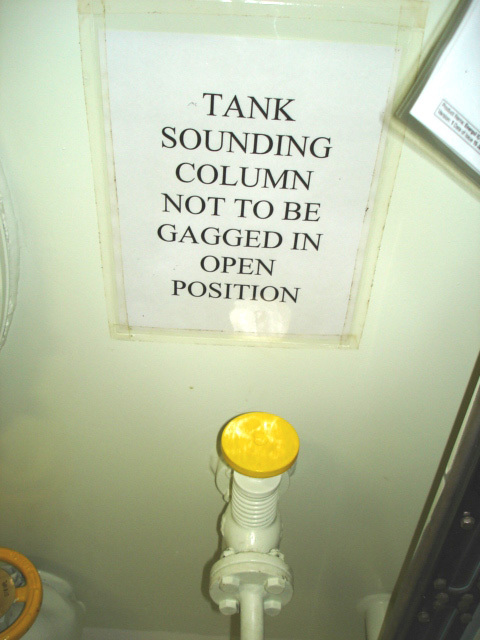 Apart from debris sounding pipes can also be blocked by broken sounding rods, tapes etc or by cargo entering the sounding pipe if sounding caps are not secured during cargo loading operations. 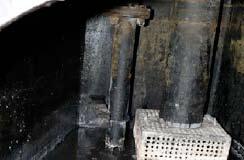 Striker plates of sounding pipes should also be checked for wastage after the bilges have been cleaned. The perforated strum box fitting of a bilge suction line prevents cargo residues to enter the bilge line. Therefore after a cargo discharge operation the strum box should be checked and cleaned in order to ensure that the bilge suction line will not block. If possible the strum box should also be checked for corrosion. 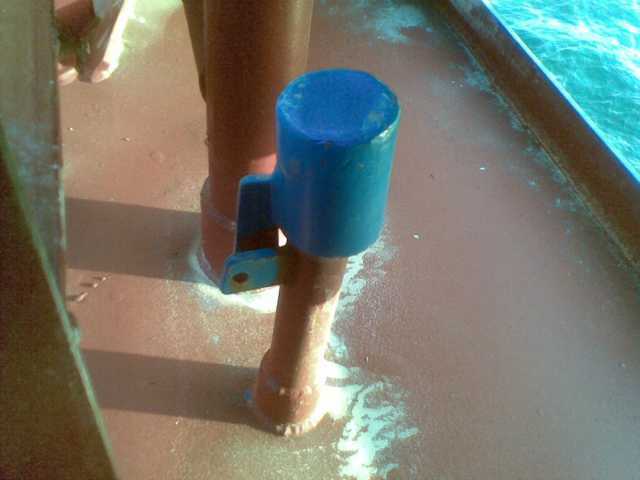 Since hold bilge systems are used in order to remove water from the hold, a good way to check that the bilge suction and bilge suction line are not blocked is to pour amounts of water into the bilge well and pump them out watching that the whole operation pumps out expected amounts of water. Of course if water builds up during washing then most probably a blockage to the bilge system must have occurred and it must be investigated. In order to prevent water being pumped from hold bilges to the engine room, over side or into another tank from flowing back through the bilge line and into the hold bilge wells again, non return valves are fitted to the hold bilge pumping systems. 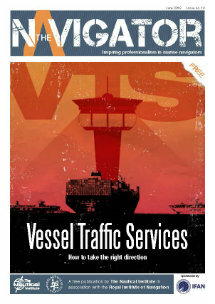 Cargo debris or residues which are trapped in non return valves reduce the pumping efficiency of hold bilges. 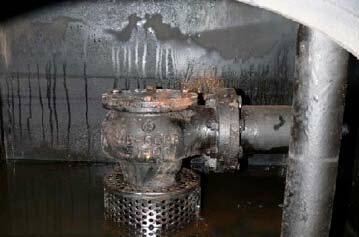 The most common way of testing that non return valves are working properly is by stopping the pumping procedure and allowing water to turn back to the bilge line to the non return valve. 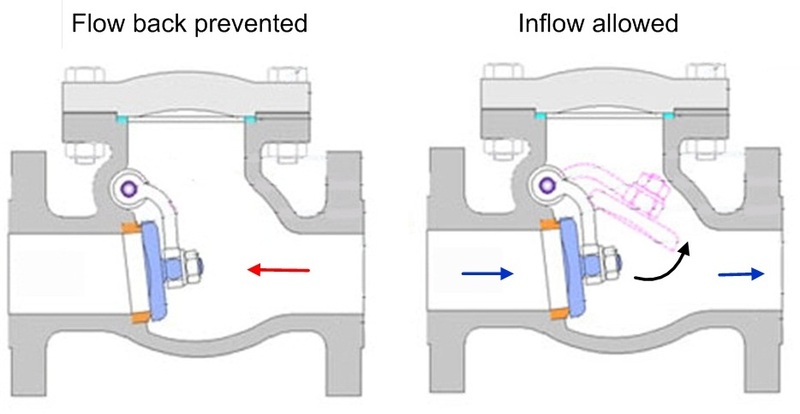 If the non return valve is working properly then no water should enter the hold bilge, but if water flows into the hold bilge, the non return valve, normally situated in the stool space or duct keel, is not working correctly.